Ducks and geese are abundant in Oregon and the hunting seasons are long. 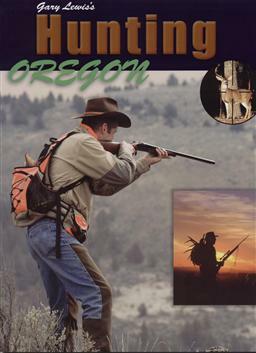 If you have an Oregon duck or goose hunting trip coming up, be sure to read Gary's hunting Oregon experiences first! Situated close to the Willamette, located just out of Brownsville, Rogers' refuge feeds a lot of birds. Guided duck hunt on the Crooked River with Predawn Adventures. This hunt on the last day of duck season was testament to Mitchell’s first year dream of a sanctuary for wildlife along the Crooked River. Here, where the river carves a twisted course through ranch land, we staged Duck Creek Outfitters’ first annual father/son hunt. When I opened the door it hit me, not the scent of the dairy, in the marsh east of Klamath Falls, but the decay, the yellowed orchard grass and the mud. Darren Roe opened the trailer and we shrugged into huge packs of decoys and deposited them on the ground fifty yards away. There was snow on the marsh, more snow on the wind. We set the speckle-belly decoys in a semicircle with snow geese among them while Darren set up a flock of ‘socks,’ lightweight decoys made of plastic material that bounced in the breeze. Through a loosely woven burlap blanket I watched the eastern sky pale. I lay in the middle of a group of Canada Goose decoys in a cut-over barley field, the barrel of my double barreled shotgun just protruding from the corner of the straw-covered blanket. My friend, Darren, lay in the middle of another flock of decoys 35 yards to my right. The first birds were mallards. We could hear the beat of their wings before we saw them, in groups of between two and ten, rocketing over our plastic flock. I put my hand on the warm walnut stock and slid my fingers around the grip, laying my index on the trigger guard, thumb on the safety switch. There were honkers coming. I could hear them first from the south, circling us to land into the north wind. Spreading their wings, they stretched out their webbed feet to land almost on top of Darren. A whispered prayer to bring geese out of the west? It seemed presumptuous somehow, but not entirely out of place on a hunt two days before Christmas. That day the mercury registered minus-1 degrees Fahrenheit and there was 18 inches of snow on the ground in Sisters, Oregon. First I stuck my Toyota in Sykes’s driveway. Then Sykes buried his Dodge to the hubs while we were setting the decoys. We needed some intervention, divine or not quite so. Sykes’s father-in-law, Keith Cyrus, had to rescue us with the backhoe. Still, no geese showed against the leaden sky. Ducks and geese drifted in and out of my dreams. It’s always hard to sleep the night before a hunt. When the alarm rang, I rolled out of bed and found my camo and my boots. An hour later, we tromped through icy marsh. A biting wind howled out of the west, driving a sullen sky. Sage, Bill Herrick’s Labrador, padded on top of the crust, while we broke through at every other step. We had to break through ice and wade to our waists to climb into the blind. With a head-high wall at the back and a low shelf in front, it was just what we needed to stay out of the storm, hidden from the birds. According to the U.S. Fish and Wildlife Service, Oregon’s goose harvest in 2006 was approximately 78,800 birds. 14,400 goose hunters averaged 5.6 days afield. That’s a lot of hunters educating a lot of geese. The ones that don’t graduate to the freezer and dinner table go on to get advanced degrees in hunter avoidance. Get a jump on them this year by hunting the September goose season. If you’re one of those marsh junkies that, by the end of January, didn’t get enough waterfowl hunting in – good news! Klamath County’s Late Goose season gives you two more weeks in the field. In the basin, they’re calling this the spring goose season. Technically, it’s still a late-winter hunt, from February 24 through March 10. When the temperature drops and the first thin film of ice forms on the lakes, ducks have to go somewhere to find open water. That’s when mallards make for the river. If you don’t have a dog or a truckload of decoys but still want to hunt waterfowl this winter, go after them in a boat. It’s a hunt designed to shift pressure from private croplands to the refuges in the Klamath basin and it’s focused on one species – the greater white-fronted goose. GWF’s, also called specklebellies or specks, begin flying through the basin in September on their way to the Sacramento Valley. In January, they start their way back north and stop off in the basin for two months or so. I played a round of golf the other day with a golfing writer from Bend and he told me how excited he got when he shot his first birdie. “Me too,” I said. I let him tell his story first. I didn’t tell him about my first birdie. Throughout the game, I kept an eye on the birdies. The geese I mean. They waddled out of my way as I chipped out of the brush back out onto the fairway. Ask a groundskeeper, golf courses and geese go together like a pitching wedge and a putter. Long fairways and luxuriant water features make great winter habitat for waterfowl winging their way south in November and December. Best of all, from the web-footed perspective, golf courses don’t get a lot of hunting pressure. All was quiet in the last moments of the night. Soon day would push back the dark. Was it my imagination or were the geese moving out on the lake? We lay in the middle of a group of Canada goose decoys in a cut-over barley field, watching the eastern sky pale through loosely-woven burlap blankets. The barrel of my shotgun just protruded from the corner of the straw-covered camo blanket. Darren Roe lay in the middle of another flock of decoys 35 yards to my right. It's that time of year again. You can smell a difference in the early morning air. It means school and football are starting soon and coho are moving up the Columbia. It also means September’s early goose season is upon us. The September Canada Goose Hunt is designed to reduce the number of resident western Canada geese in some areas prior to the fall migration. The first season is held in southern and eastern Oregon counties. Bag and possession limits are liberal. The second season is held in western Oregon. Check the Oregon Game Bird Regulations for exact details. Regulations will be available in August. When leaves turn to gold and skeins of waterfowl are on the wing, it’s time to take your shotgun and camouflage out of the closet. Waterfowl season is here and there’s no better place to slow down and focus on the hunt than on a river. If you don’t have a dog or the patience to watch decoys but still want to hunt, try float-hunting for ducks in a canoe or drift boat. From the outlet of Little Lava Lake, 4,739 feet above sea level, the Deschutes River gets its start. Over the next 252 miles, the river drops 4,579 feet to meet the mighty Columbia. In its upper reaches, it’s a placid stream that winds its way through the pines, gathering its power from the Little Deschutes, Fall River. Downstream, it gains momentum as it collects water from Whychus Creek, Crooked River, the Metolius, Willow Creek, Trout Creek and hundreds of smaller streams.